Time flies (and data mounts) when you’re having fun with measurement. 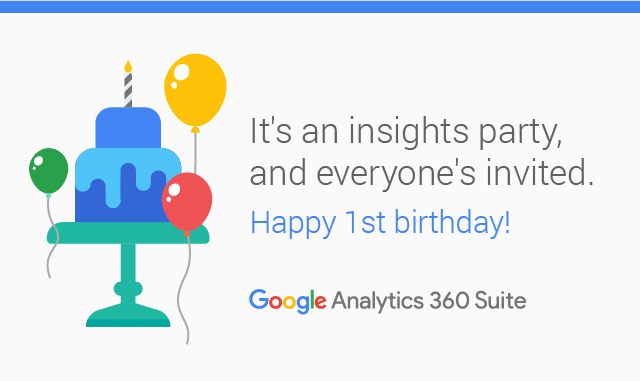 One year ago today, we announced our enterprise suite of marketing measurement and analytics solutions, the Google Analytics 360 Suite. Today we wanted to reflect on this first year. Because, well, a lot has changed. As marketers know, in today’s mobile-first world, people expect more from brands. They want questions answered quickly, and they want a relevant, engaging experience. That’s a tall order. 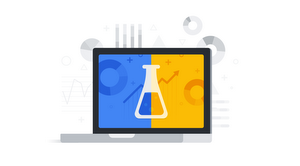 So on March 15, 2016, we introduced the world to the Google Analytics 360 Suite, an enterprise measurement solution comprising analytics, tagging, site optimization, data visualization, attribution, and audience management. It helps marketers get more insights — not more data — and deliver more meaningful experiences to customers. Built from the ground up with modern technology and cross-product integrations, it does the heavy lifting for marketers. Last fall, we welcomed Google Surveys 360 to the suite family, allowing marketers to gauge brand health, get user feedback on site experiences, and understand marketing impact with fast, reliable insights. A great addition to the 360 Suite, Surveys makes getting performance marketing insights and market research to better answer the “why” really easy. Leading marketers are embracing data and testing to continually improve the customer experience — or simply, make a website better — day by day. This growth mindset requires a willingness to experiment. And with that comes the challenge of getting comfortable with failure. Remember: There’s still a lot to be learned from (and celebrate in) a success rate of 1 in 10. When we surveyed marketing decision-makers at the end of last year, 61% said they struggled to access or integrate the data they needed in 2016. And 26% of marketers said they didn't have the right analytics talent or enough of it.1 If marketers spend too much time wrangling with data, that means measurement is not always top of mind. Only 5 out of 10 marketers said they think about measurement while developing campaign strategy.2 When data keeps pouring in, thinking about what campaign information you need to collect may be the last thing on your mind. But if you don't define your measurement goals from the beginning, you may not collect the right data to understand what's working and what isn't. Marketers who rethink measurement for a multi-screen world are reaping the benefits. In fact, leading marketers are 75% more likely than the mainstream to have moved to a more holistic model of measurement in the last two years, according to a recent study from Econsultancy and Google.3 But, getting a handle on all your data can take time. 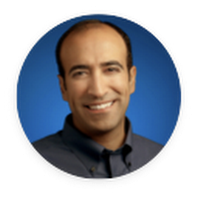 And that’s OK.
Google has some exciting product developments in the works that will help marketers automatically uncover insights and make smarter, faster decisions. In fact, we recently shared an Analytics 360 update that gives our customers the fastest access to the freshest first-party data we've ever offered. The party’s just getting started. Stay tuned in for another exciting year. 1 Google Surveys, U.S., "2016–2017 Marketing Analytics Challenges and Goals," Base: 203, marketing executives who have analytics or data-driven initiatives, Dec. 2016. 2 Google Surveys, "Measurement in Campaign Timeline", Base: 1,092 marketing executives, U.S., August 2016.